I love that WIWW has extended to WKWW for the kiddos. My clothes aren't interesting or stylish enough to share but I love styling my 2 favorite girls. With the holidays approaching I thought I would share a thrifty and cute outfit for my youngest Abby. 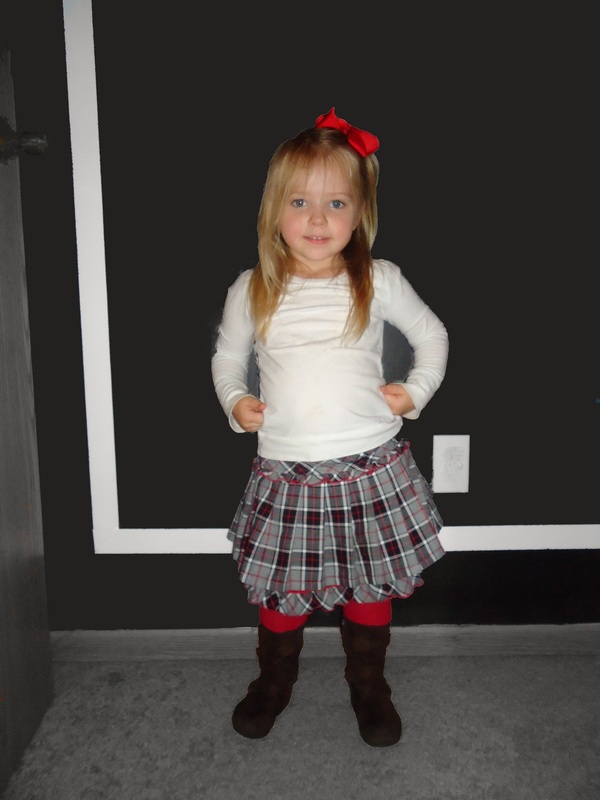 The plaid skirt is too adorable! Your darling would look adorable in the hair clips that are my blog giveaway today! I love half off day at Goodwill too! Your daughter is adorable. Super cute! Thanks for linking up to the CHQ blog hop this week and make sure you enter the giveaway! Hope to see you back next week! Thanks. I made sure to enter. I love the boots. I have been thinking of getting one for my little girl but then think that is all she is going to wear!! I am following you from FB and on your blog now, and would love for you to follow back. I do to. Hostely she probably wouldn't own boots if my sister didn't give them to me. Newest follower here! I found you through the Monday Mingle! Cute blog, I can’t wait to read more! I can't believe you thrifted that entire outfit. So darling! The tights are my favorite part. :) I also LOVE half price thrifting days. Thanks for linking up! If only I was this good at thrifting cute outfits for myself. Why is it kids clothes are way cuter than adult clothes?